When Shirley Littlefield shows a property, the first stop is often far from the living room, dining room, or kitchen. Littlefield, a RE/MAX Hall of Famer who works in Metamora and Dryden - rural horse country 70 miles north of Detroit - is one of the nearly 500 RE/MAX Associates who specialize in horse properties and similar listings. At least half her business is equine-related. 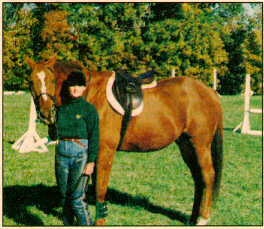 Shes sold many farms and stables, frequently sponsors horse events, and has developed deep-rooted affinity with hundreds of people in the central Michigan horse community. Littlefield includes horse photos on ads and mailings. Shes even delivered offers and contracts riding her 22 year-old thoroughbred, Chaz. ©2016 Shirley Littlefield, serving the Tryon, NC and Greenville, SC areas.